The East Wing is a private, spacious 60 square metre, luxury one bedroom apartment opening out to a large paved patio area, lawn and gardens. What better place to have a relaxing weekend or retreat than to stay in a luxury private suite with commanding views over Great Lake Taupo. Indulge yourselves in the tastefully decorated apartment, with a super king sized bed, a large ensuite bathroom and comfortable lounge for that ultimate romantic getaway. Fairbairn House is perfect for those travellers who prefer to do their own thing requiring just good quality accommodation with no extra frills. The East Wing apartment has a kitchenette which includes microwave, fridge, toaster, toasted cheese maker, dishwasher, and tea/coffee making facilities. A guest BBQ is available. Taupo is known as the ‘Events Capital of New Zealand’ with events taking place year round in this beautiful geothermal area. With so much to offer, Great Lake Taupo is nature’s ultimate playground. Cycling and mountain biking are very popular, combined with triathlon, Iron Man and swimming events. Lake Taupo is world renowned for trout fishing, boating, and water sports. There are many scenic walking, hiking and horse riding trails. Adventurous thrill seekers can enjoy skydiving, float plane, helicopter and jet boat rides, and bungy jumping over the Waikato River. Or take a fast spin on the motor racing track. Huka Falls and the Aratiatia Dam rapids are a must see for visitors, as are internationally acclaimed Lava Glass Studio and nearby L’Arte Cafe and Sculpture Gallery. Taupo offers great shopping, cafes, pubs and restaurants. Skiers and snowboarders can take to the slopes of Mount Ruapehu, New Zealand’s largest skifield just 1 hour's drive away. After a fun filled day exploring, Taupo has a choice of wonderful geothermal hot pools and spas to relax in. We are happy to assist guests with advice and arrangements to make the most of their stay in this very special part of New Zealand. - Access to the private Grandview Estate is by keypad code which will be provided when booking confirmed. Glorious sunrises, sunsets, the twinkling lights of Taupo and the Milky Way are yours to enjoy. Really nice place, modern, clean and is all you need for a getaway in Taupo. Really nice place, modern, clean and is all you need for a getaway in Taupo. Really enjoyed our stay. Fantastic property and location. Great views too! Best view overlooking the lake, mountains, citylights and stars/moon. Best view overlooking the lake, mountains, citylights and stars/moon. House perfectly laid out, very clean and cosy, huge and has everything that you need. Highly recommended! We will definitely go back! An exceptional and beautiful property; well appointed, spotless, with absolutely outstanding views. An exceptional and beautiful property; well appointed, spotless, with absolutely outstanding views. A home away from home. We most definitely will book with Andrew again. Superb is definitely the word to be used. Superb is definitely the word to be used. 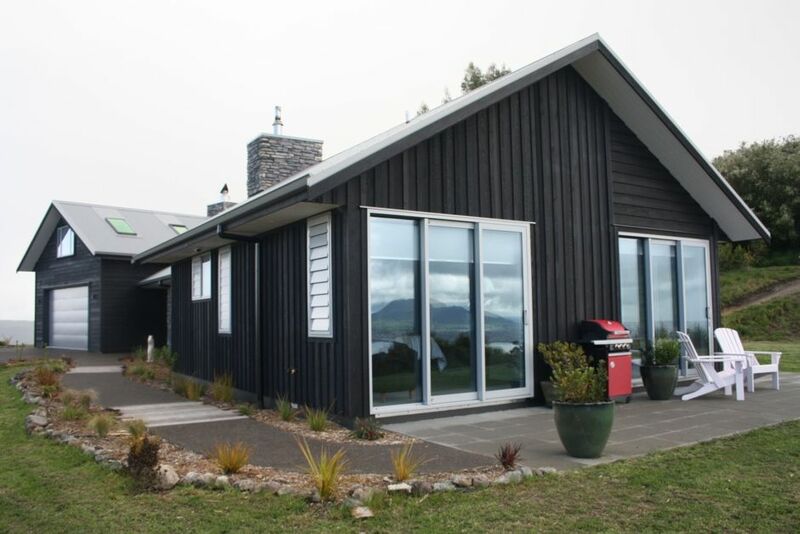 The house was large, airy and situated to provide fantastic views across two aspects of Lake Taupo. The view from the feature window in the bedroom was absolutely stunning. The kitchen was well equipped and Andrew was more than happy for visitors to 'dip into' the supplies in the scullery. The open fire was a real bonus. Felt like home, not a holiday let. We'll be back!